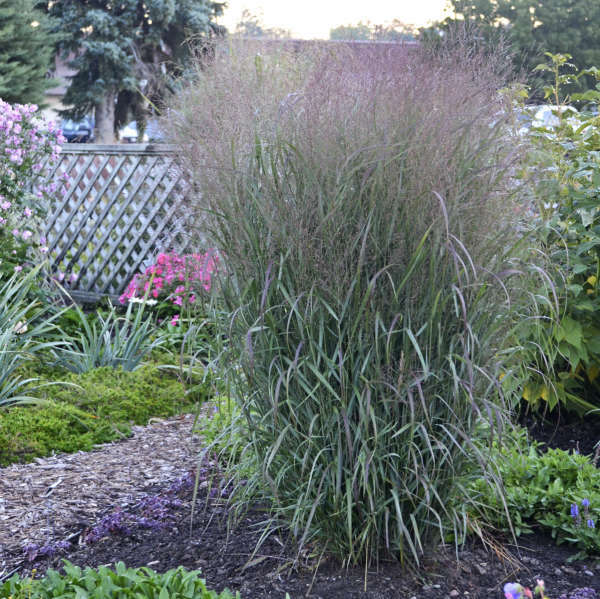 Ornamental grasses are easy to love because they are low maintenance, have a long season of interest, and easily add height with a small footprint. 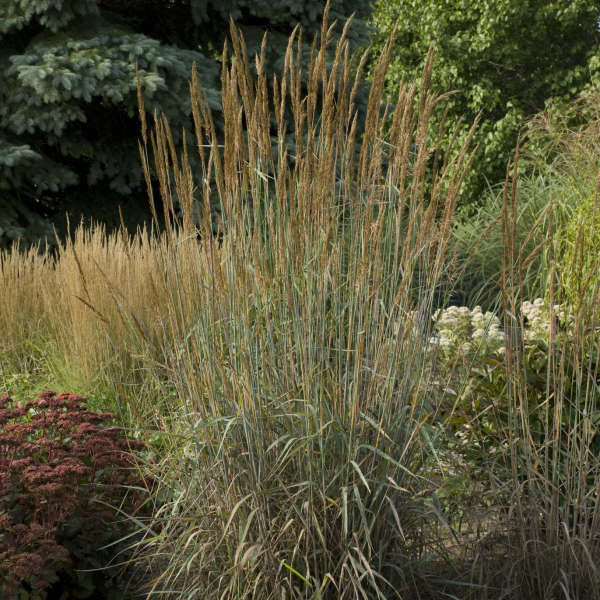 Recent popularity with native perennials has reinvigorated breeding and interest in native grasses as well, with interesting and improved varieties more readily available on the market. 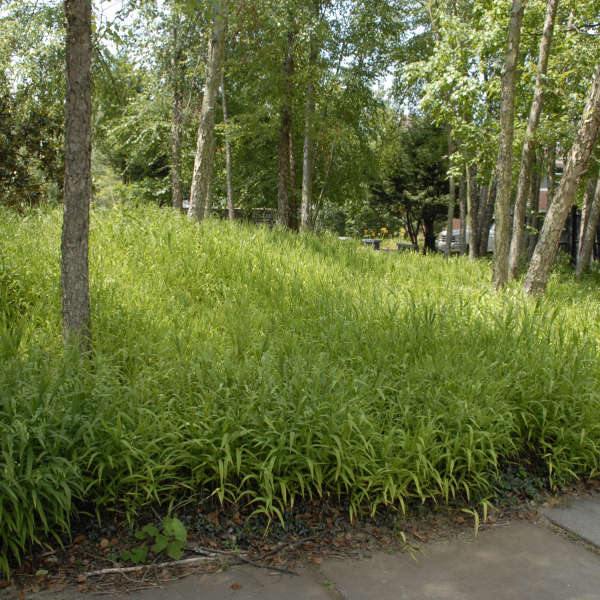 Grasses native to your area are generally less work to maintain as they are already acclimated to the local environment. Prairie grasses are the most popular example of this, as they are naturally more drought, heat, and wind tolerant. Switch grass is one of the most popular and widely cultivated native grasses. 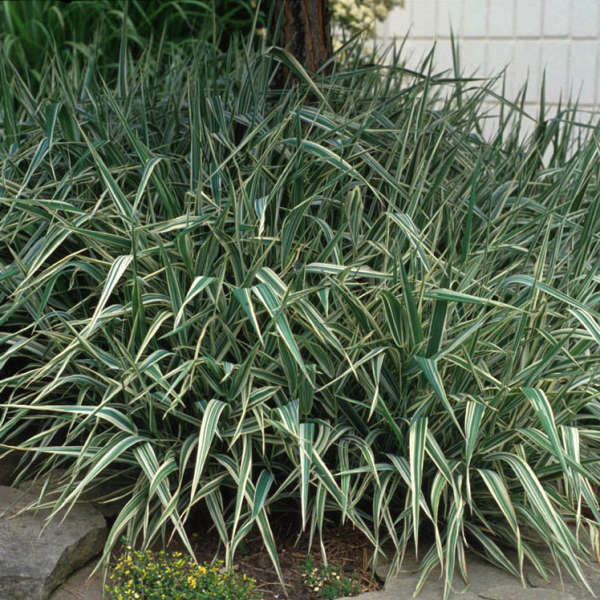 You can find varieties of Switch grass with foliage in shades of red, green, and blue. Newer cultivars of this genus show significantly improved garden performance and are less prone to flopping. Over-watering or over-fertilizing Switch grass (and most other Prairie grasses) will lead to flopping and you will miss the spectacular fall interest. 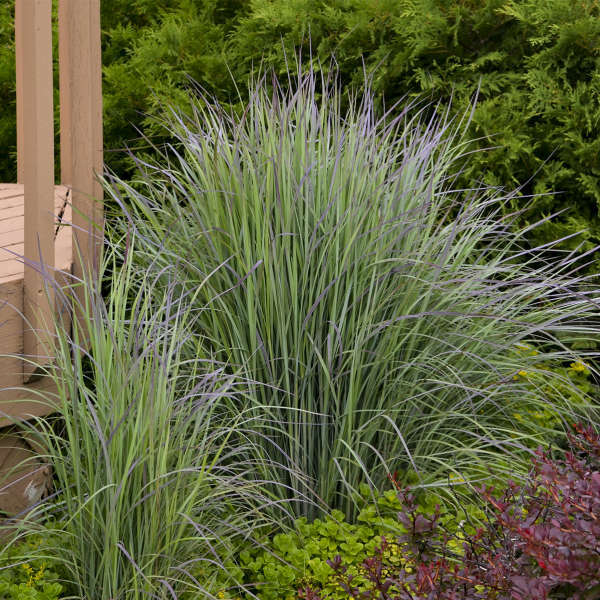 Little Bluestem is named for the blue-purple tones most varieties take on in fall. However, most varieties go through a number of color changes, coming up powder blue, darkening to purple, and ending with dark red stalks in winter. 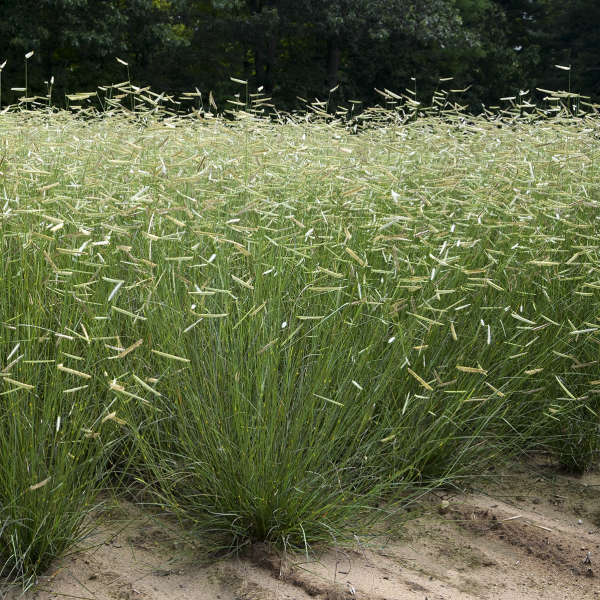 One of the most naturally refined native grasses, Prairie Dropseed can be found all the way from Canada to Texas. Habits of thread-like green foliage are very compact, getting only about 2½' wide and tall. The seeds produced by these plants are an important food source for birds and other wildlife, particularly late in the season. 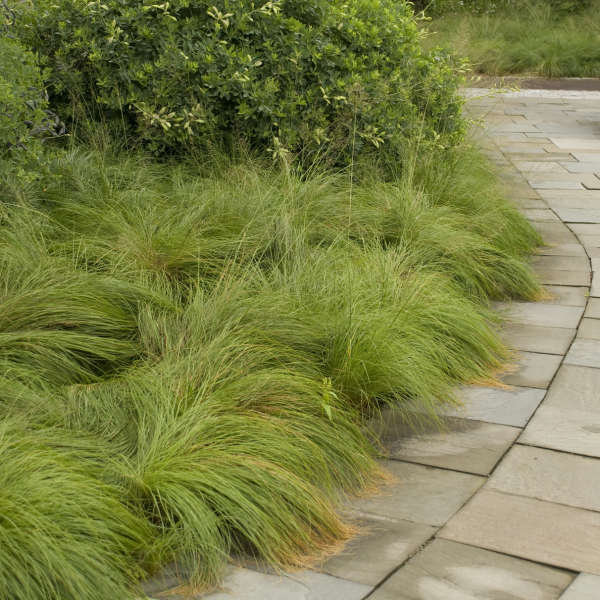 Though Prairie Dropseed is named for its seed production, it does not seed invasively in the landscape. Dubbed the “monarch of the prairie”, this native grass was once the dominant component of the American tallgrass prairie. It adapts easily to a wide range of soil and moisture conditions as long as full sun is provided. This long-lived grass has a variety of uses including screening, naturalizing, restoring prairies, and nesting materials for birds and mammals. A mid-sized native with an overall "wispy" look. Unique to this species are the lateral infloresence, which are held almost perpendicular to the stems. 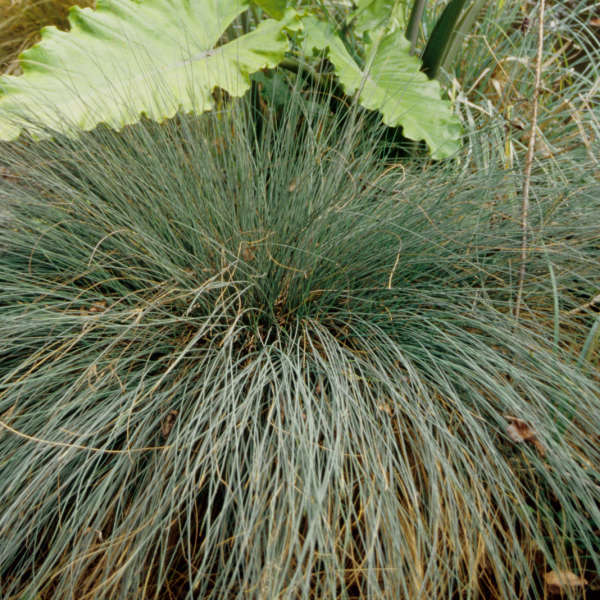 Tufted Hair grass is one of the smallest native grasses in cultivation, it is also one of the few with shade tolerance. This plant doesn't do well in deep shade, but it can be grown in light or filtered shade with success. 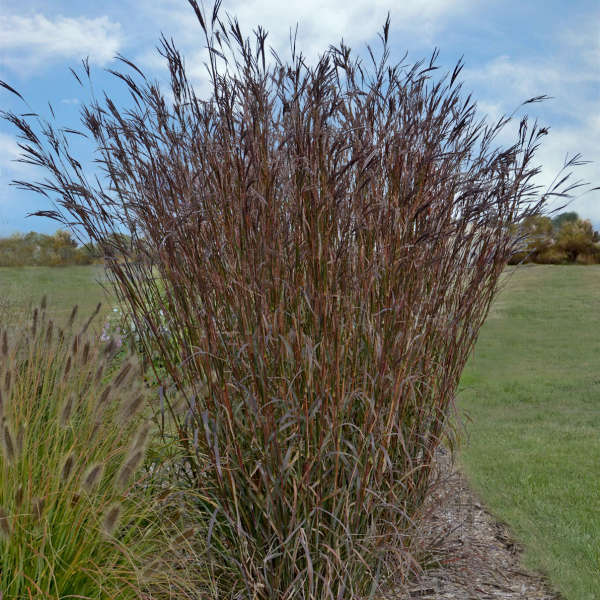 The native alternative to Feather Reed grass (Calamagrostis acutiflora), Blue Indian grass grows very upright with long infloresence appearing in late summer. 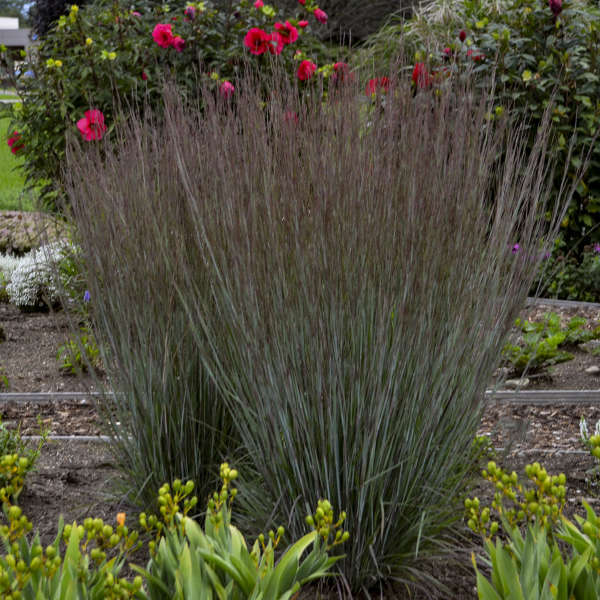 Use this plant to create natural screens or along the back of the border. One of the most shade tolerant grasses, Northern Sea Oats is also one of the thirstiest. The showy, drooping flowers have a tendency to self seed, which makes it a choice for mass plantings or filling space in damp shade. 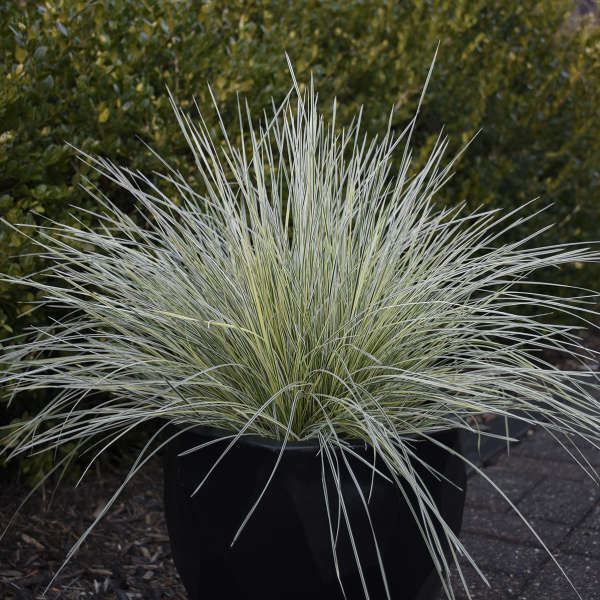 Ribbon grass is a rapid grower, particularly when compared to other ornamental grasses. This plant is often used as a groundcover or for erosion control as it has a tendency to spread. Plant this somewhere contained or be ready to watch it go! A rush is technically not a grass, though they are used similarly in the landscape because of their comparable texture. The primary difference between the two is a rush's affinity for water, with this plant capable of growing in up to three inches of standing water. This plant does not have the drought tolerance of most other native grasses.